Seeing one of friend's photographs we were so excited to visit that place. That, in our last trip to Amsterdam (May 2003) we tried to visit that - but alas! Local people told us that Tulip season is already over. But deep down in our heart we wanted to visit that place particularly Keukenhof thinking -maybe next year. 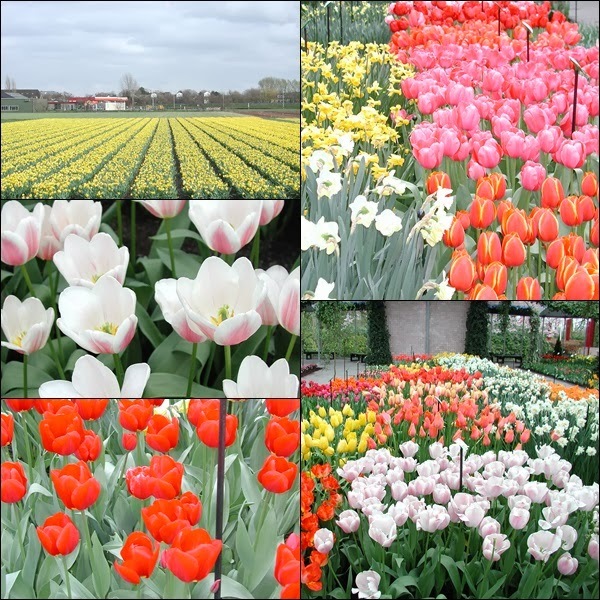 Then we were in touch with Holland tourism in-order to know more about Keukenhof. We tried twice, booking with a travel agency as it would have been economic & hassle free for us compared to self-trip- but no luck. Luck at last smiled on us when Krovi & Vidya asked us to join them to Keukenhof. After spending 3- 4hrs.at Keukenhof garden we went to Amsterdam where we spent that evening & Sunday there. 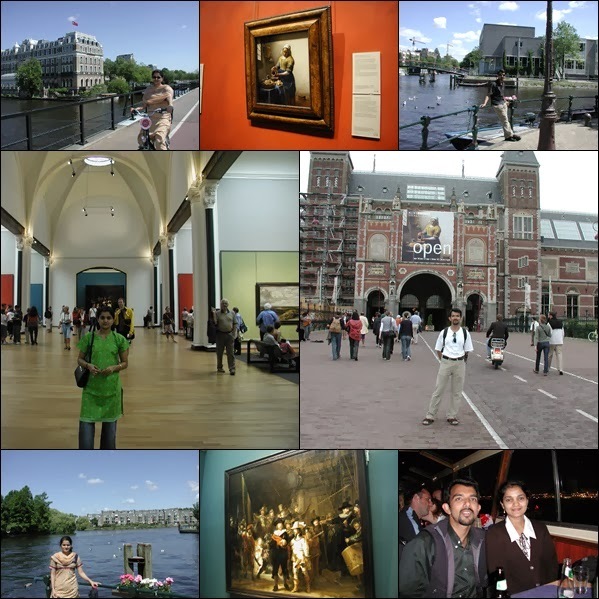 Our first trip in Europe, I decided about Amsterdam because of two reason Van Gogh and people of Amsterdam. To our delight it was really great and was a great escape from noise and crowd of Paris.The city is not so big compared to Paris but very clean and friendly. As most tourist books suggest Dutch people has unique and very efficient solution to their day-to-day problem. The streets are not crowded with car.We reached there on Saturday morning and visited Van Gogh museum followed by Albert Cuypmarkt. We had Surinamese for lunch and Indonesian for dinner. Both were great. Both these countries were Dutch colony but you get roti in Surinamese cuisine.Sunday we visited Rijks museum. The main part of museum was closed as they found asbestos in museum. But they had all the major work of Rembrandt and other great Dutch masters for display and the entry fees was reduced with free audio tour.Monday we rented bike and biked a lot. Yes a lot for 3 to 4 hrs and in that time we crossed the south canal belt few times. We had Falafel for lunch and Nepalese for dinner; the falafel was great I think the best falafel I tasted so far.Yes it was a great trip, which ended on Tuesday morning as soon we back to Paris with general strike for 2 week in a row.